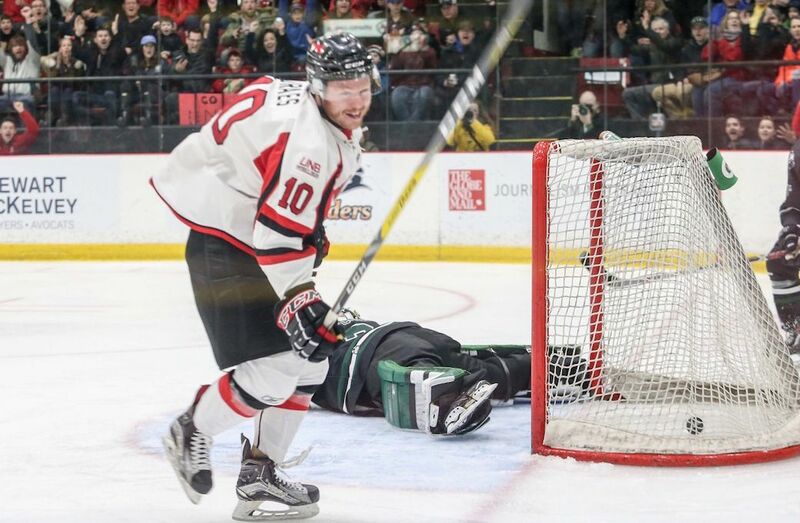 FREDERICTON (U SPORTS) – Acadia forward Michael Clarke (Halifax, N.S.) had two goals in the first period, and Daniel Petterson (Toronto, Ont.) 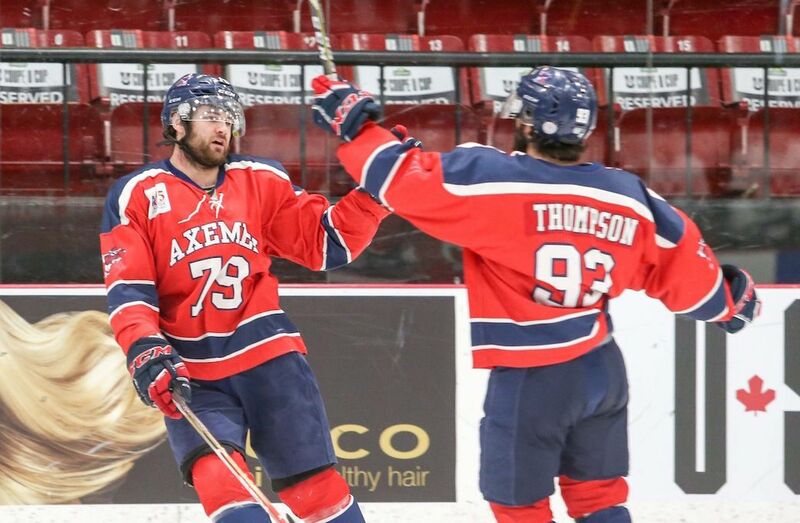 added two in the second to lead the Axemen to a 7-3 win over StFX, in the bronze medal game at the 2017 U SPORTS Cavendish Farms University Cup. Acadia led 2-0 after 20 minutes, but Sam Studnicka (Windsor, Ont.) scored for the X-Men just 14 seconds into the second period tocut the deficit in half . Acadia would forge ahead though for good, scoring four more in the frame to put the game away. Boston Leier (Saskatoon, Sask.) found the back of the net at 12:03, followed just 31 seconds later by Liam Maaskant (Clinton, Ont). Petterson then tallied his first of two at 13:30, before Eric Locke’s (Toronto, Ont.) power play marker with 1:34 to go. Petterson, would add his second with 22 seconds to play in the frame. Acadia outshot StFXX 34-29 in the contest. The game was the ninth meeting of the season between the two teams, with StFX winning both the season series 4-1 and the best-of-five AUS semifinal 3-0. Acadia head coach Darren Burns said the bronze medal was a nice way to finish the season, afater coming into the tournament seeded eighth. “It is a different experience playing at 9:30 Sunday morning. Twelve hours ago, we were just getting around to our post-game meal,” said Peddle. Penalties: Tremaine (STFX) interference 07:16; Cook (STFX) interference 15:19. Penalties: Locke (STFX) holding 08:00; Lepkowski (ACA) cross-checking, Maaskant (ACA) roughing after whistle, Locke (STFX) roughing after the whistle 11:28; Makin (ACA) holding, Braid (ACA) roughing 17:11. Penalties: Iafrate (STFX) 10 minute misconduct 0:00; Leier (ACA) interference 8:40; Pancel (STFX) slashing 19:04.